Platelets are critical in helping to control bleeding and play a major role in our health. For some, platelet counts can be too high and for others, platelet counts can be too low. This can cause serious health problems. Platelets are also often used after traumatic injury or in other serious health situations. The University of Rochester Medical Center gives a description of platelets and why they are important, ” Platelets are tiny blood cells that help your body form clots to stop bleeding. If one of your blood vessels gets damaged, it sends out signals that are picked up by platelets. The platelets then rush to the site of damage and form a plug, or clot, to repair the damage. The process of spreading across the surface of a damaged blood vessel to stop bleeding is called adhesion—when platelets get to the site of the injury, they grow sticky tentacles that help them adhere. They also send out chemical signals to attract more platelets to pile onto the clot in a process called aggregation… Platelets are tiny but important cells in your blood that help your body control bleeding.” In an emergency, having platelets on hand for patients can mean the difference between life and death. But, hospitals and medical facilities do not always have a ready supply of platelets at all times. For this reason, platelets are often shipped from one medical center or laboratory to another, to ensure they are prepared at all times. When platelets are transported, they can encounter a number of potential hazards along the way. Delays, being left in a hot or cold loading area, rough handling and other changes in ambient conditions can all put platelets at significant risk of being damaged. With patient’s lives depending on them, no risk should be taken when transporting platelets. 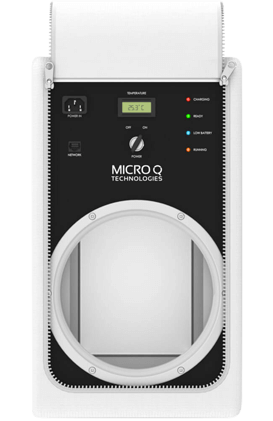 The MicroQ iQ platelet transportation device is temperature sensitive and controlled by a microprocessor. 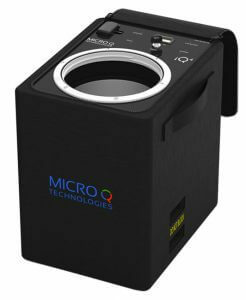 It is incredibly accurate and precise, actively heating and cooling to maintain the desired temperature should it sense any change in ambient condition. The iQ platelet transportation device is lightweight, making it incredibly easy and less expensive to ship with mainstream couriers such as FedEx and UPS. It is also very durable and can withstand any rough handling it may encounter during transport. 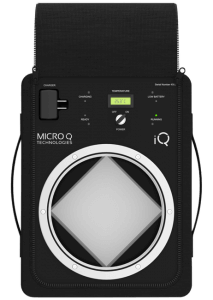 The MicroQ iQ platelet transportation device is completely reusable. This will offer significant savings on the cost of shipping as you will no longer have need for disposable shipping containers. The device can be used each time to you need to ship temperature sensitive materials. 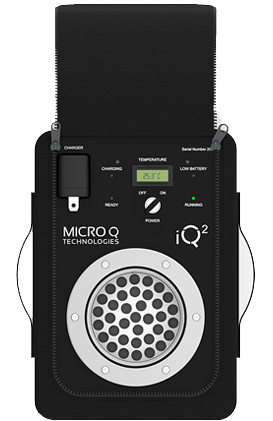 Simply recharge the iQ device, reprogram and send along again for whatever your needs. Platelets should be handled with great care to ensure patient’s safety when receiving platelet transfusions. No patient’s life should be put at risk because platelets arrive unusable or unsafe. 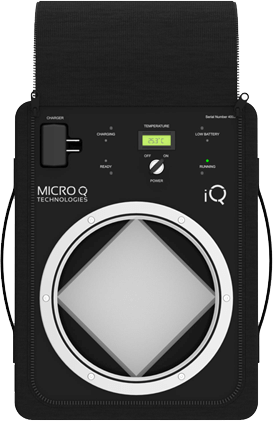 The MicroQ iQ platelet transportation device will protect platelets throughout the duration of shipping and will ensure they arrive in ideal condition for use.